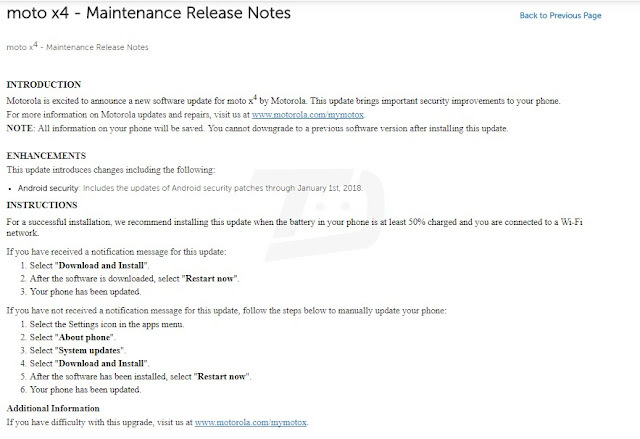 Motorola seems to be gearing up to unleash a wave of January Security updates onto its devices. We first saw January 2018 release notes show up for the Moto G5s Plus, Moto G5 Plus, and Moto Z2 Force, but we are now seeing it for the Moto X4. 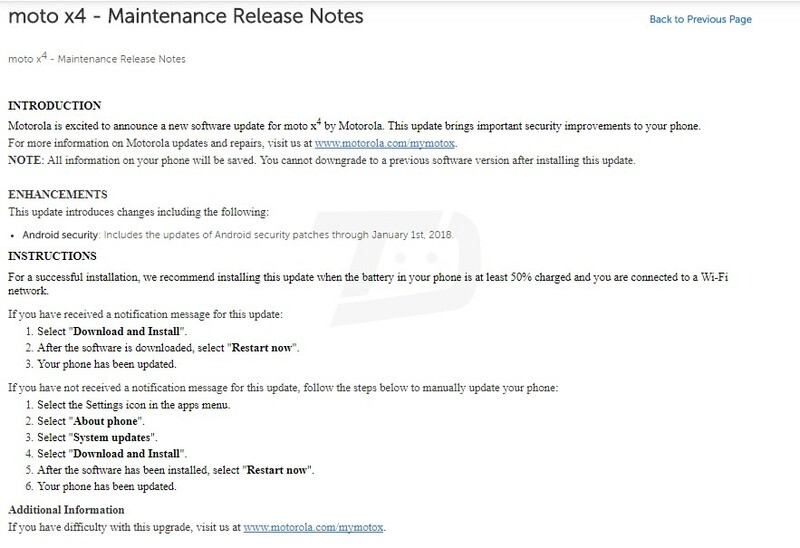 According to Google, January Security Patch brings along 40 different patches with some ranging from a “Moderate” severity all the way to “High” severity including Meltdown and Spectre flaws. 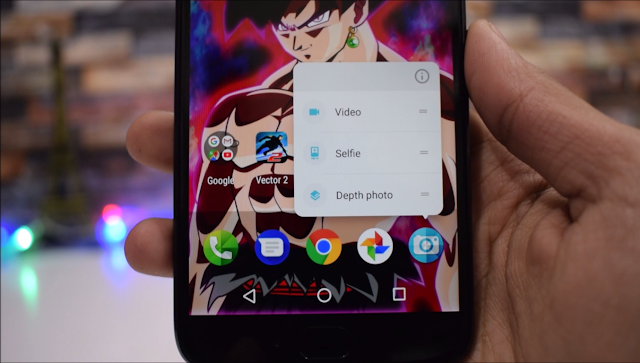 So, the company is most likely to start January 2018 update official rollout for the Moto X4 by the end of this month. We will let you know once the update is live. Stay tuned to our Facebook and Twitter page to get the first News. Android security: Includes the updates of Android security patches through January 1st, 2018.